TWO GOLDEN STARS. Masía el Altet "HIGH QUALITY". 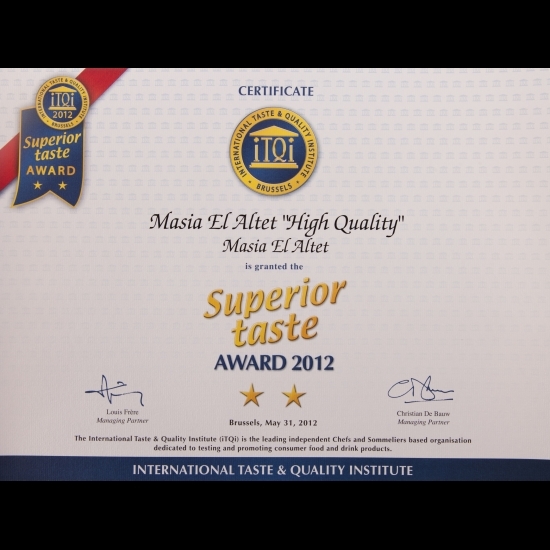 International TASTE & QUALITY Institute.(BRUSSELS-BELGIUM). (From maximun 3 stars). "Equivalent to Michelin stars for foodstuff".